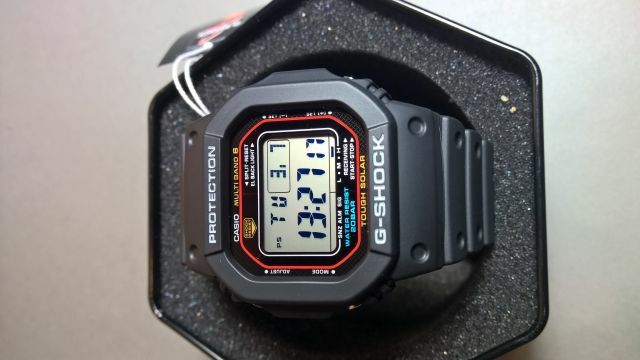 Casio G-Shock GW-M5610-1ER to funkcjonalny i niezwykle porywający zegarek męski. Materiał, z którego wykonana jest koperta to stal nierdzewna i kauczuk, co świadczy o wysokiej jakości produktu a wysokiej jakości tarcza z ekranem LCD, zaimponuje każdemu fanowi technologii. Zegarek wyposażony jest, między innymi, w chronograf (stoper) i funkcję daty oraz alarm (budzik). Jeżeli chodzi o wodoszczelność, zegarek jest odporny do 200 metrów. Oznacza to iż jest zbudowany z myślą o nurkowaniu (z wyjątkiem nurkowania głębinowego). Zegarek jest wysyłany z 2-letnią grawancją i oryginalnym opakowaniem od producenta. What more can I say I got this watch as a typical beater watch for just knocking about I with everything' already been said about all the features and spec etc! Amazing watch for the money. All I want to say is the special mention to Watch Shop after the exchange when I originally purchased the wrong watch due to the LCD display being negative I could hardly see the time? So from start to finish not including the weekend from me returning the original watch to getting this watch took just 3 days. Customer service on the telephone was excellent too!!. From a very Happy Customer all I can say is Happy Days. 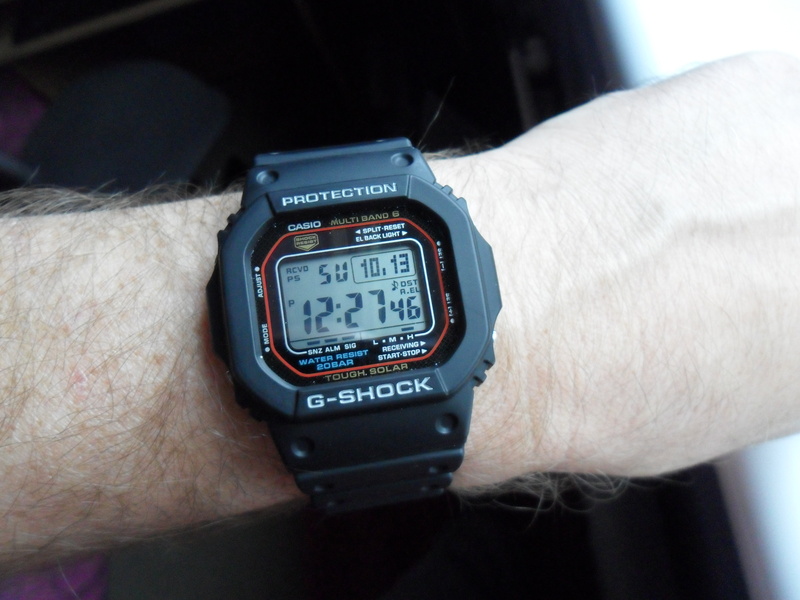 In most ways, this is a good Casio g shock, having solar and atomic timekeeping. It syncs every night, whilst wearing it in bed, it has the usual descent g shock functions, however, this watch has one major flaw for me and that is the speaker for alarms/signal/countdown/button beep are just not loud enough, I use all these functions but on this model, I'm afraid their is no point, because you can barely hear.them. A good g shock but it just isn't a complete. One for me. I like the watch very much. However I would say the it's not as big as I imagined or how seen on the various YouTube reviews. Also with a 7.5" wrist there isn't much strap left. Also at the age of 48 my short sight isn't what it used to be so the display is difficult to see. I would recommend seeing it in person before you buy. A nice simple style of watch with fairly basic features, day, date, stop watch, world time, alarm, but with the two attributes that I wanted; atomic time and solar powered. The watch itself is comparatively small for a G-Shock and I'm still not used to it after my Citizen which is bigger and a lot heavier. The weight of the G-Shock is minimal and this makes it much more comfortable to wear and also means that I don't have to take it off when I'm typing, which I always have to do with the Citizen. All told I'm very pleased with this watch and the price match with the Watch Shop was much appreciated, thanks. I started out looking for a tough and reliable watch, which fell insidew my slightly limited budget of under £100. 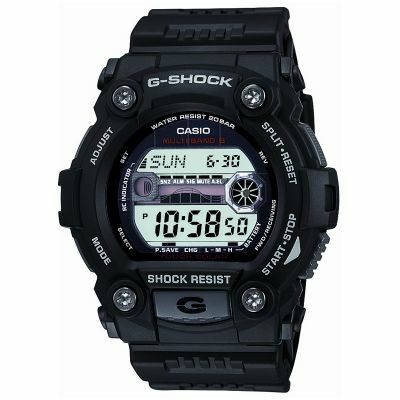 After some online research I was tempted by the many features - and virtual indestructability - of the Casio G-Shock M5610. This watch was efficiently solar-powered, so it never needed a battery. The watch linked itself to the worlds atomic clocks, so I was always certain of the exact time. Plus the watch had the retro-design features of the original G-Shock, which I first enviously spotted being worn on on the wrist of Keanu Reeves in the movie speed way back in 1994. The reviews on Watch Shop were almost unanimously positive, and I eventually decided to purchase this tough retro timepiece. As always, the Watch Shop ordering process was very easy and the item arrived so quickly that I didnt even have to bother with the available parcel tracking service. I absolutely love this watch. It is the perfect size to wear either casually or with more formal dress. It also doesnt have the in-your-face brashness and bulkiness of some other sports and leisure watches and sits very comfortably on the wrist. The features are very easy to navigate and enable you to flick through the worlds time zones as well as providing the usual stopwatches, multiple alarm settings and energy saving features. The instruction booklet is quite thick, but dont worry - there are only a few quick and easy steps to get your watch set perfectly to your needs. Im an aging technophobe, and I had absolutely no trouble. The watch looks and feels extremely tough and well-made. As with all G-Shocks its built to take a beating and there are numerous YouTube videos which show people trying to destroy these watches in a variety of novel ways - all to no avail. Looks-wise, the watch is perfect for those who love 80s Retro styling. I love the way that Casio proudly emblazon all the features on the watch face itself - as they did with their very first G-Shock model. 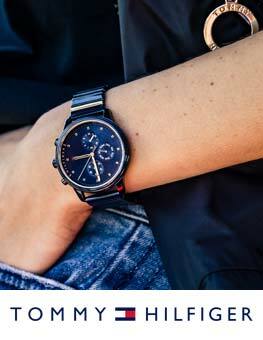 But dont be put off - the watch is easily understated and subtle enough to be reasonably anonymous on your wrist. All-in-all I have no regrets about buying this watch. It hasnt left my wrist since I bought it. Its already taken a few knocks and the odd dunking, but still looks great and performs perfectly. A nice little retro watch. It has got a lot of functions such as alarm, timer, chronograph, DST, illuminator, battery level indicator, etc. However it is not comfortable on the wrist, especially after prolonged use. 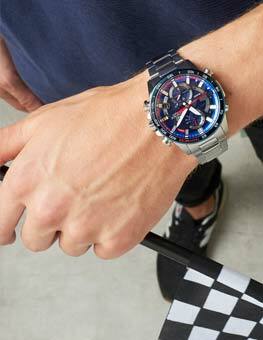 Great watch, the square G-Shocks are just great and this watch has plenty of features too to make it super practical. I have owned several Casio radio time controlled watches over the last 20 years or so and without doubt ALL of them suffer from a wrist band that is two holes too short! This watch is perfect in every respect for what I want as an offshore racing sailor bowman, accurate, waterproof, strong and shockproof - but getting a wrist band that is long enough means extra expense every time in having to buy an extra long strap. This time I managed to find a Company in Australia that supplies a band extender that adds an extra 70mm of length to an existing wrist band. Now I have it all - a watch perfect for the purpose and a wristband that is waterproof, strong and it FITS! What else could I ask for? Very happy with this. A great price for the features. The auto light works well. Solar charging is working well, after 2 days in a cupboard it was still on high. The atomic time keeping is handy for work where timings are important. A subtle, tough g shock. This watch is so retro! Great design, my partner loves it! Took him back to his youth! I have owned other Casio models in the past which I have always been pleased with, but this is my first leap into G-Shock territory. I was looking at this watch in particular as the square models are smaller and a little more retro looking than the chunkier G-Shock watches. This watch is still certainly chunkier than regular Casios, but for good reason as it is incredibly rugged. The watch looks incredibly gorgeous, particularly with the matte black finish on the cases resin. The adjustment on the bracelet was initially a concern when purchasing as i have quite skinny wrists for a male & have had issues with other straps in the past, but the adjustment settings are accommodating of most wrist sizes small or large. The watch is incredibly comfortable & the fact that it is so lightweight despite its ruggedness adds to the seamless comfort. An especially impressive feature of the watch would be its radio controlled timekeeping. The watch can be set to automatically receive radio signals to calibrate the time for supreme accuracy, including daylight saving changes, as well as automatically adjusting the watches calendar function to compensate for the amount of days in the month as well as leap years. This releases any potential frustration with having to reset the date on your watch every month! The solar power functions are also incredibly impressive, meaning that the watch is powered by ambient light & it isnt necessary to tediously replace the battery every so often like other quartz watches. Although the vast extended feature set of the watch can seem a little daunting, setup was actually very easy & all navigation of settings is controlled by the four outer buttons. I was quickly able to customise my timekeeping settings, calibrate with radio signals, set alarms & also set up the automatic back-light, and i am confident in the simplicity of being able to alter these later on. If i had to nitpick at any negative features, id say that the control buttons can be a little difficult to push in, and also the mineral glass on the display is a bit on the reflective side making it difficult to read the time sometimes in bright lighting. Other than that I am incredibly impressed at the value of this watch & I look forward to using it for years to come! Been searching for a robust radio controlled watch for sometime now. This watch meets all my needs and is made with real quality. Looks the business too! Highly recommend. This watch may be a little pricey for an digital LCD watch, but it has a lot going for it that makes it worth it. - Classic 1980s original G-Shock styling: If youre an 80s nostalgia fan, this watch is for you. It has that 80s digital watch look, but modern guts on the inside. - Sets itself overnight: You never have to set this thing. I find that its always within a half second of UTC coordinated universal time, verified using my computer and phone with NTP. - Solar powered: With non-solar watches you dont want to use the light often because it drains the battery faster, and changing the battery is a pain. No worries about that here, use the light as often as you want. - Tough as nails: Its a G-shock. You dont have to worry about scratching/breaking it by accident if you lead an active life. Pro Tip: I find that the time syncs most reliably when the watch is left FACE DOWN on a table. This is totally NOT what the manual suggests, but it works the best this way for me. If youre having trouble syncing, try that. This is just great! 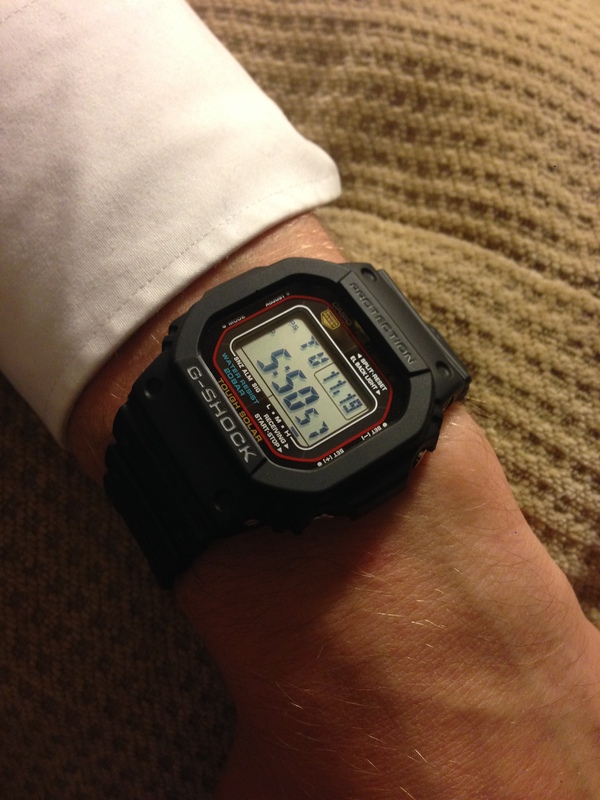 I had considered buying the G-Shock model 5600 but learned that 5610 is even better. I wasnt disappointed. Last but not least: Operation Guide can be found googling casio module 3159. A very thorough and precise document. This watch is great if you need to effortlessly know the time accurately at all times. Put this down to a solar energised cell and radio controlled time adjustment. Water proof as well so no worries if you fall in the pool. Pros - strong, reliable and a great looking watch with a very reasonable price tag, especially for the features and quality you are receiving. Con - the only downside as the placement of the buttons on the side they could be more centred into the middle of the curves, however it is not anything substantial and you get used to the button after an hour or so of wearing. 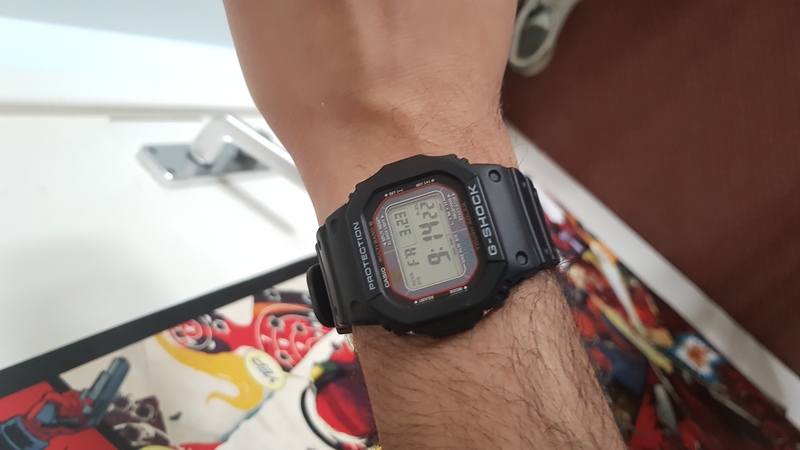 Quality watch, very tough as you expect from a g-shock, perfect for small wrist and because is solar powered you dont have to worry about battery life, I love how its fits on the wrist. Watch is excellent very easy to use. In fact thinking of buying another one for brothers birthday in February. Chance to get money back would be good. Superb quality, excellent feel, does exactly what it said on the tin. To have a watch that can update itself to the exact time, and can refuel itself? Watch for life. Job done! The Casio watch meets all of my requirements in that it is the perfect size and is smart enough to be worn formally or casually. My main reasons for its purchase are the ability for it to charge via any light source as well as self-sync and auto-correct its time. 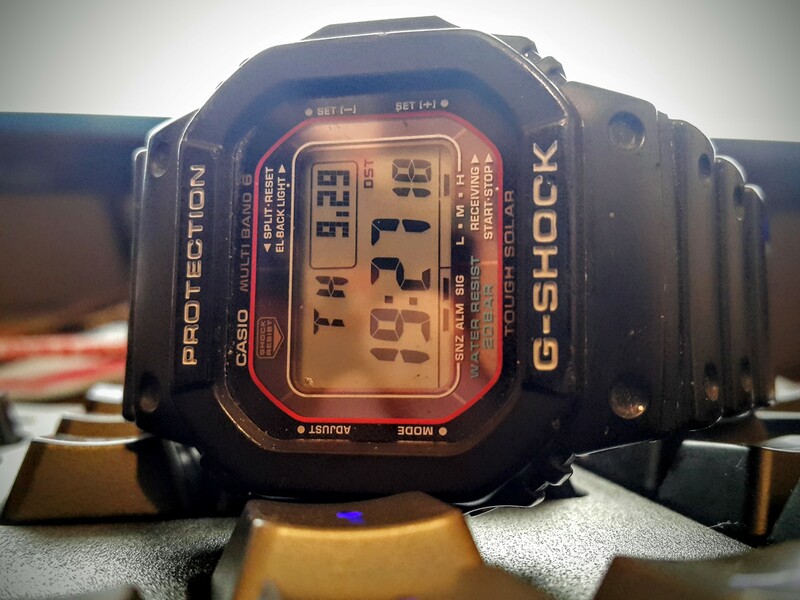 The Casio G-shock is a nice watch, its radio controlled and keeps, up to date precise time, the world time is a good feature and it has a 24hr timer and stop watch too and it looks good. The TRUE all rounder. This watch is a nod to the first original G-Shocks. The size of the watch is just right, Not a big watch by G-Shock standards but a watch that can handle itself easily. Wearing the watch is very comfortable due to the light weight materials but dont let that fool you in thinking this is a push over when is comes to toughness. The display has a classic look and is very legible in day and night thanks to the great glowing light. The upgrades to this watch from the classic would be the automatic time adjustments via the Atomic clock and the great wear and forget style charging that is Tough Solar. Add the 200 Metres Water Resistance and this watch is a true wear and go all rounder. The watch has a cool feature called Power Save mode, If the watch is left in the dark for an amount of time then the display will go blank to save on stored battery power till its exposed to light and it will come straight back on. Also I get asked all the time what watch I am wearing. I truly cant think of a bad thing to say about this watch. This watch is the second one. Same watch, different generation. Ive weared the old one for 11 years, has plenty scratches but still working. However, thousands thanks to Casio that exists and thanks also to Wtatchshop for provide me it. Very happy with the watch. 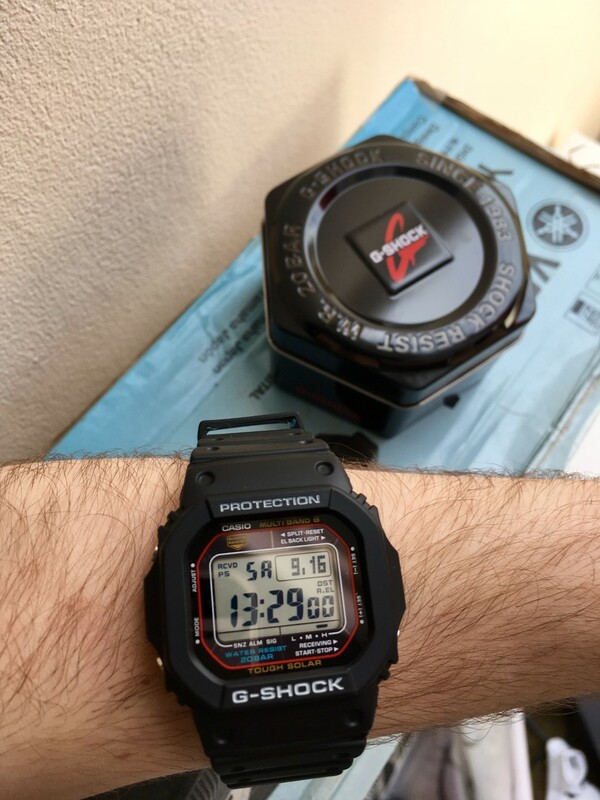 I brought this watch GW-M5610-1ER and also brought another G-Shock model DW-5600E-1VER from ANOTHER site. If you are looking at this watch then there is a good chance you are also thinking about the cheaper 5600 model. The 5610 is made in Thailand and i cannot fault the quality. The 5600E is made in China and although China make some very good watches for Casio it can be hit and miss with the quality. The problems i had with the 5600E brought from another site were the casing was poor and the edges were very sharp. The buttons were very hard to press and the top left button is more recessed to stop you pressing by accident but was so bad you almost needed a pin to press, other buttons were stiff. The marking on the case were poor and not sharp. The main problem i had with the 5600E was that the module was not fitted in the watch straight and was lopsided. Please note these were problems on the 5600E brought from another web site and not from the Watch Shop. The 5610 i brought from the Watch Shop has none of these problems and well worth spending a bit extra for a better quality watch. Delivery of the watch was next day and packaging was spot on so no problems there. I would recommend the GW-M5610-1ER and Watch shop. Great watch, great service. Im very pleased. This is a great watch. Retro 80s look with the newest technology. Love the fact that it is solar powered and its atomic means that you will always have the most accurate time down to the second. Charges fast with a massive battery reserve. If you collect watches you can put it away in a dark cupboard for weeks when you are not using and the watch switches to power saving mode only for it to switch on again when you take it out and it detects sunlight. Love it! This one is everything I need in a watch. I take it everywhere with me:\r\nAt the beach\r\nAt workconstruction\r\nAt dinners, strolls. showers.. you name it!\r\nIt keeps perfect timing and it has auto LED light. I love it. Excellent delivery conditions and tracking information about delivery. My watch arrived in perfect conditions. Recomended 100%! I wanted a digital watch that was solar powered and radio controlled, but not too big and clunky like some of these type of watches are. This watch ticks all the boxes for me and Im very satisfied with it. The user manual is very small and not easy to read but I downloaded a copy onto my laptop which is much more convenient. I had the identical model of watch for about 3 years but unfortunately lost it recently but had no hesitation in replacing it with the same model. Love it. Does everything you would want. The bit I love is the time updates its self so it is always spot on. The auto back light is great. Best of all its tough and feels like it will last for a very long time. I went for it as I dont like a massive what he on my wrist and this is smaller than some g shocks. In short get one there mega. Superb, light weight, accurate and eye catching. Excellent build quality! Comfy,small for a G shock.Cracking watch,highly recommend . I own two watches, one nice watch for interviews and when I need to look respectable and an everyday watch that will still look good when Im with a customer, this is a replacement for the latter. My old watch was a Casio with a 10 year battery, 12 years in it was not as waterproof as it used to be and the silver on the plastic case was all but gone, in fact the silvering on the old watch started to go at about 18 months an looked tatty. This time I wanted something that was wholly metal or a neutral plastic, black seems to be the current fashion so I guess thats good. If have a dislike / reservation it is that the watch looks like one of Casios bargain basement basic watches at a glance, but only at a glance, taking a closer look you realise this something that is going to last a few years and still look good. My choice was influenced by the fact that I do a lot of outdoors stuff, 4x4 driving, walking, cycling, swimming, photography and astronomy and wanted something that would stand up to this and, for the astronomy, provide a clear and to the second accurate time display, plus a count down timer so this watch scores a lot of points on all these points and hopefully the replaceable nature of the strap and solar charging will keep it going for many years to come. For day to day use the watch is comfortable and very light, the display is clear and the illumination is good, if a little brief for syncing up a GoTo mount but this is minor, one oddity is that the screen seem to have an auto off, its usually blank in the morning and needs to see some light to wake up, then again so do I. Overall the construction seems rugged so Im looking forward to some long service, especially as I note replacement straps are available easily, the Achilles heel of many watches Ive liked but had to throw out. All in all its a solid, functional and comfortable time piece, I cant ask for a lot more. My watch arrived before lunch the next day, very well packaged. I am super happy with my new G-Shock and it never leaves my wrist! I was looking for a replacement watch for an old Casio 10year digital that will put up with a lifestyle that includes walking, cycling, swimming, photography and astronomy. Much as I was attracted to a analogue display , the need to set my tracking system to the second in the dark makes a clear digital display a winner here as does the waveceptor function. I prefer a metal strap but the fact that this watch has a replaceable strap also scores strongly. True there were a couple of budget models that meet the bill but from past experience I have found the staps go in 18 to 24 months or the battery dies and the cost of repair far exceeded that if replacement, so Ive gone something a bit more durable / repairable, astronomy is relatively passive but setting up big lumps of kit in the dark and the knocks you get is what killed my old watch. I did look at some models with stainless wristbands but most have painted resin bodies which wear off in a few months and look tatty so the final shortlist was this one or one about 3x the price, price won! Overall Im very happy with the watch its well made and seems robust. The waveceptor function seems straightforward and I particularly like the clarity of the display. If the solar power function keeps this watch alive for as long as my old one it will more than pay for replacing a cheap watch every 18 months. 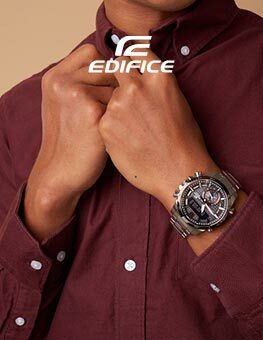 The only thing I don’t like is the colour/appearance, at first glance it looks like one of Casios bargain basement models but I have noted that the current fashion is for plain black watches and those with an interest do seem to take note of the G Shock badge. Personally its function over fashion for my everyday watch and this one more than fits the bill. Watch is compact not bulky but has all the features I need. Excellent watch. Retro style but modern technology. Solar powered and automatically sets time daily according to time zone. Used daily for a few weeks for swimming and cycling and not a mark on it. very accurate time keeping watch. To my surprise the watch is very light weight and also have date ,day, month which is very usefull. OK so its a bit retro but then so am I ! This watch is based on the classic G-Shock design. Features such as Atomic time synchronisation and Solar power make this watch truly worth the price. This watch will be a classic in the future. In my opinion, this is one of the best G-SHOCKS you can buy. The amount of features you get for £120 make this watch fantastic value for money. Everything works and looks perfect! 10/10, couldnt recommend more. A lovely looking watch, not too bulky and not too heavy. A good all rounder with plenty of useable functions. Very easy to set up and the manual was a breeze to read and understand. Ive only had it 3 hours and I love it to bits, dont want to take it off. I ordered this watch at 16:25 Tuesday, arrived by 10:00 the next morning. What an excellent service, very impressed. Watch was well packed and arrived in A1 mint condition just like a new item should. Thank you Watch Shop. Did I mention that I love the watch? Classic watch, free from battery replacement and time adjustment! This is without a doubt the best, most practical watch a man could ever wish for. It will do everything you want a watch to do, including set itself by atomic clocks all around the world and power itself by solar power. And it is as hard as nails - has 5 alarms and auto light. It is just a perfect watch for all occasions. very pleased with my 1st Casio, It arrived already charged and set so could wear it straight out of the box. I have had a little play with the buttons and it seems reasonably easy to understand. I like the solar power not shure about how it will fair during the dark winter days but I have no reason to doubt its ability. Also like the auto time setting so I dont have to touch the time or the callender, in fact nothing I dont like about it really, all in all very pleased. ordered on the internet around 10pm Tuesday night and it arrived here in Danmark 10.30 Thursday morning. well done Watch shop. Quality of this watch is very good for its price range. Its got good finishing. Materials are skin-friendly. Screen is clear to read and understand. Numbers are big enough. Buttons are little too small and too much inside of the watch. It makes hard to push them. You need to hit exactly right spot. Luckily I have small fingers. I would love to have particular model in some cooler color. I also would like to have analog/digital watch at the same device. Unfortunately Casio does not have the ones where are clear digital display with analog display in the same watch. This watch is very durable. It accidentally was left under tank. Still it is working!! Quality and price are totally aligned with this watch. I highly recommend this watch if you want to have durable and cheap watch for extreme sports. Also paramedics, policemen etc. might see this useful at their work. You can also put easily NATO strap in your watch if you like. Good watch, but hope that the strap lasts longer than the last one. Im not going to tell you blah blah blah watch on how it works because I dont know but what I will say is it is a bit of a wolf in sheep clothing. If you want a watch that looks normal not nickable like all the other new shape G-Shock but does so much IE radio controlled never need set time, very hard wearing and comfortable, solar panel, light comes on with wrist movement and under a £100 then this bad boy is for you. Possible bad points button small for fat fingers like me and light is only on for seconds that it though. Top watch for the everyday guy that is reliable, tough and a gadget. A much needed upgrade from my previous G Shock watch and I couldnt be happier. 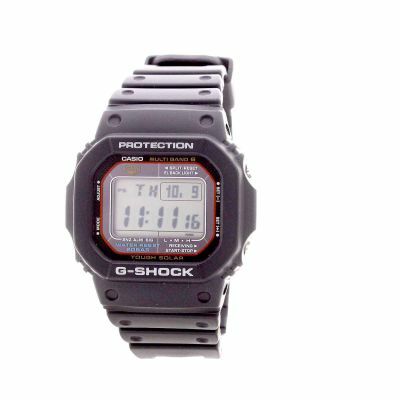 This watch has the retro look but with the protection of G Shock. The solar power is not something that you need to worry about, just wear it as normal. I cannot recommend it highly enough. The watch feels extremely solid and given the quality of its build and the technical specifications, it is good value. It is quite big, though the dimensions are given to be fair, and the time display it self actually only covers a small proportion of the watch face, though this can be seen from the image. I needed a watch that was forgettably accurate, with a physically low profile and technological looks. This fitted the bill completely - nice rectangular shape, radio synchronised, has all the usual G-Shock functions: world time, STW, Alarm and Timer, but without the dinner plate scale on my sinuous wrist. It looks good, is utterly dependable and being solar needs no battery replacement with the attendant would-sir-like-the-watch-to-be-rewaterproofed? costs. For those who are somewhat jaded by the awkwardness of 50 x 15 cases, this is the perfect antidote keep the ProTrek for the expeds and get one of these for the real world! Recommended. The watch is very good, it has plenty of features such as solar, radio controlled and the usual alarms etc. It is very solid feeling and I got it to use at work so my SKX009 doesnt get banged about. Also the size is more reasonable as some G-Shocks are huge. The watch was bought as a gift and is perfect for the purpose it was bought. It is a good looking and hard working watch which is miles above others in its category. Excellent watch, but then I knew that before ordering it due to already owning the inverted display model. Again the service from watchshop was superb. I am very happy for the purchase. 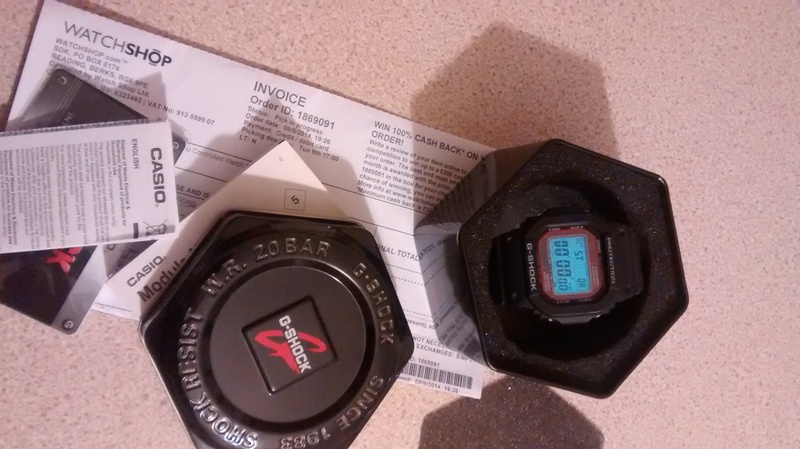 The product is excellent and hopefully it will service me for many years to come knowing its a gshock tough solar. It doesnt need reseting the time since its an atomic watch. Very reasonable price as well. Watchshop has a quick delivery and no doubt I will order again to them soon. A great watch at a great price. Rugged, very accurate and not too large on the wrist. Excellent service from the Watch Shop. I use this watch on a daily basis. At work I need the accurate time, so when I buy a watch Im looking for radio-controlled time adjustment in the first place. 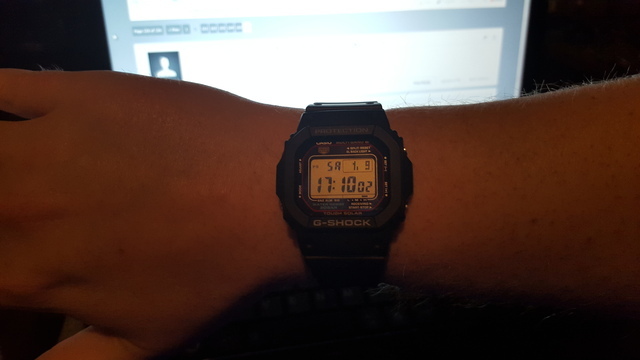 Its also one of the smallest G-Shocks and with my rather thin wrists - this one does the job and doesnt arouse attention.. At first glance it may look cheap, however its a quality - business as usual - CASIO watch. The only problem I have with this one is a date format mm/dd. I complain, because I own one Casio watch in which I can change it to dd/mm. It should be installed as a standard function in all Casio watches. This watch is a hybrid of sorts, echoing the retro styling of the original G-shock model while adding up-to-date features such as a solar-powered battery and radio-controlled timekeeping. The pedigree of G-shock is very much in evidence here -it feels supremely practical and nigh on indestructible! Its also very satisfying to always have the perfect time. The price is currently £66 and I think this represents phenomenal value. It is in many ways the ultimate modern tool watch. Its water resistant to 200m and as long as youre periodically within range of the time setting signal, youre guaranteed to have the perfect time at a glance. Solar power means no more battery changes required and a power saver feature helps conserve energy overnight. Theres also a handy auto-light feature which turns on the Electro-luminescent back-light whenever you tilt the watch towards you. This is easy to switch off when not needed. A standard stopwatch, world time and countdown timer are also included. There is a healthily sized manual to take you through the comprehensive feature set. The rubber strap is long enough to accommodate a variety of wrist widths and the watch generally feels very light and comfortable to wear. The looks will split opinion its form over function styling that makes you feel like the sort of person whos outdoorsy and active. Small wonder these watches find favour with the armed forces and emergency services. Casio often put many labels and feature names on their watch faces and this is very much the case here - one mans retro charm is anothers irksome clutter. While were on the subject of dislikes: It does what it does very well, especially for sheer practicality, but it can feel a little soulless compared to say a vintage mechanical watch not that its trying to compete with those!. If you think mechanicals are needlessly high maintenance and inaccurate and you just straightforwardly want the right time, all the time, then this is the watch for you. I think many people will have one of these as the work/weekender watch and a dressier analogue watch for smarter occasions/going out wear something else with your tuxedo!. Also the alarm doesnt wake me up so I stopped using it - not sure if others have found this. The buttons can be a bit fiddly to press - you have to angle your finger right or use a nail - I often dont quite get the press on my first try! On the plus side though, you can turn off that classic Casio beep when needs must. Lastly, owing to the curve of the strap,I found it impossible to prop the watch up, say on a table or other flat surface so you can monitor the time off the wrist. I had to give a talk once where I wanted to do this and couldnt get the thing to rest on the lectern. The only option is to rest it on its side. I used my iPhone instead! Overall though, theres much to love here and I can heartily recommend it to anyone who wants the ultimate, ruggedly practical watch, regardless of aesthetics. A superb but simple G-shock watch. I purchased this one after my other G-schock watch finally gave up after a good 10 years of use. Totally recommend this brand for reliability and looks. 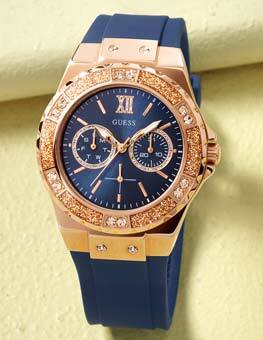 Watch shop are the best for price and superbly quick delivery! This watch is phenomenal! Based on the original DW5600 model, it deliveres bucket loads of features! I still own my original DW5600 from the 80s! I wear it every day! This watch brings the best of Casio design and functioality to the 21st century! If you Scuba Dive this watch is essential! The features bring this watch in to a world of it own! The price point is exceptional! All opinions are subjective, but I believe this watch to be the best G-Shock available! Well worth the purchase! Original and its just got better than before, it is the exact copy of the initial from 1983 DW5000 of the first ever G - Shock in the range. Over the decades they have reproduced with improving technology. It is the most iconic G - Shock alongside the also very popular 1995 model G-6900 which features similar tech. Radio Wave and Atomic clock for timing accuracy. It has Multiband 6 and it 200 Water Resist, it is great action watch and can be used in any field. It is a nice size and flat so you can tuck your sleeves, it is smart and casual and can be worn with a formal dress shirt or suit. Lastly it featured worn by Keenu Reeves in the movie Speed 1996 and is worn by astronauts in NASA. Works well, except for the fact that the date is in US format, and there doesnt seem to be any way to change it. Generally pleased - comfortable to wear and easy to set up. Only concern is with overseas operation Im going to USA, New Zealand and India this winter. Theres a time zone code for Los Angeles but apparently not for New Zealand or India. Will I have to set time manually there or will the radio-controlled time adjustment just click in when Im there? Im just going to have to wait and see. Very pleased with my purchase, the watch is rigged looking and usable without being overly large. Also a bit different from the other round g-shocks. Prompt delivery and excellent service. Excellent service as always. I love the size, functionality and aesthetic of the watch. I have multiple G-Shocks but this is my favourite. Goes with casual or work attire. Fine for sports and outdoors or just commuting etc. very versatile and of course its as tough as nails. Excellent. 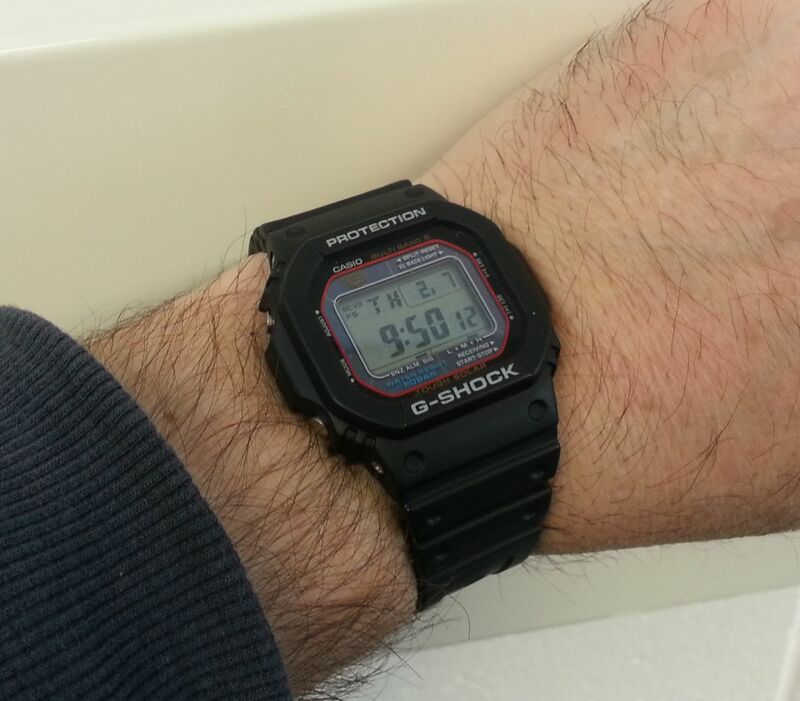 The casio g shock gw m 5610 e1 is an exellent watch. I am an avid downhill mountain biker and there is not all that much info out there to help people choose watches robust enough for this sport, its mostly just trial and error. This watch is fully able to withstand anything you can throw at it! Mud, water, crashes... Anything and it looks good. Would fully recogmend this watch 100%. This is an excellent watch. I have had three Casios in the past and found them great value. This is really the ultimate watch. A bit of sunlight and a radio signal and it should keep perfect time for a long time. The first really accurate watch I have ever owned and I am 74! Also practically waterproof, with stopwatch, timer alarms and a good backlight, most important when luminous dials fade after a few hours. Great watch- comfortable, easy and clear functions. Solar charging and radio controlled time are good features too. Very happy with the purchase and excellent service by watch shop. Well pleased. Fancied a quality digital watch for my collection. What better than a solar/radio time G-Shock from Watch Shop at their great prices. I own a number of expensive swiss watches and need a holiday watch that i can take with me to less desirable areas.This is the perfect watch for travel as it is solar powered and atomic so it always tells the correct time anywhere in the world. The price is great and the service was just as good. An excellent company who i would use again. A great watch. 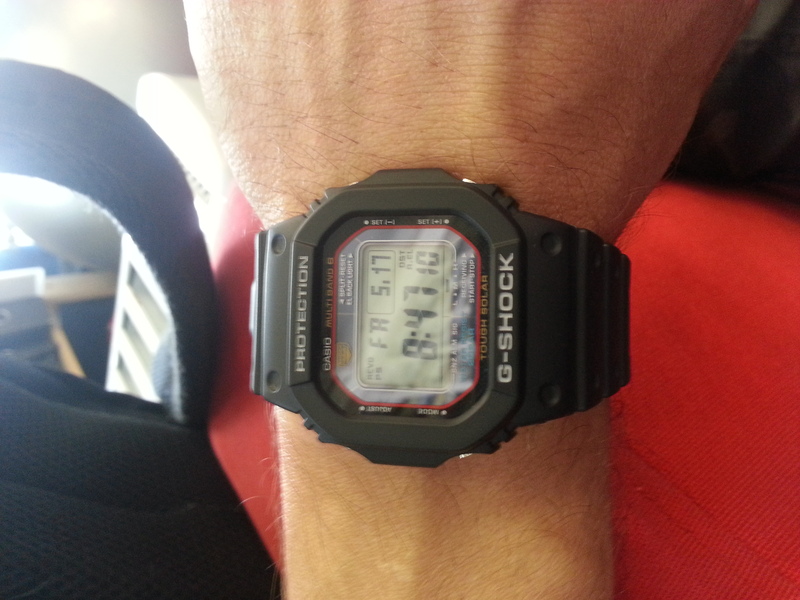 Ive wanted a G-Shock for a while now and decided to buy this one. I like the style and features it has, the radio controlled time is very good. I was looking for a purely digital display so this model fitted the bill. Only thing I would say is that Ive not managed to get the auto-back light working, but Ive read it can be temperamental on this model. Overall a good watch with some nice features. Its a good size and its simple to use. Great watch. I am very active and often found in the water. The watch is even readable under water. This g-shock is one of the best watches there is! Bear with me here and think what you want from a watch. Obviously time keeping is the main thing. This thing is atomic. The second thing on a want list is a light or good lume. This has a automatic light. From here its probably a mater of opinion but we have chronograph and countdown timer. This g-shock has something most dont and that is retro timeless style with upto date technology inside. This is basically the same shape as the first ever g-shock in 83 and its still cool. Its also the perfect size and weight for the busy active sports person. Ive had more g-shocks than I can remember from madman to rangeman to riseman and so on. They are all great and well made and do great tricks but they are too big and heavy. They date quite quickly too. Get one of these they are a timeless classic. Great service from Watchshop too. I have to say that I am very pleased with the watch. Casio Radio Controlled GW-M5610-1ER. The watch is comfortable to wear ,looks really smart ,it is just a nice size nothing like most of the usual G-shock Watches-I have quite a slim wrist so the watch case size was important -comes complete with easy to understand instruction booklet.I like the way the watch self illuminates if one tilts the wrist slightly -would definitly recomend this watch. 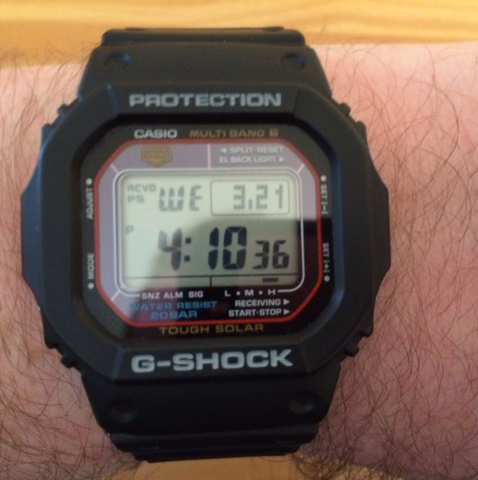 The Casio GW-M5610-1ER watch looks great and works perfectly. The glass/plastic display is well protected from scratching and abrasion by a deep rubber surround. Good watch not to big either which is what I wanted. Lots of features including world time, and auto time keeping. comfortable watch to wear looks good. VVery happy with purchase. Keeps perfect time and no need of battery replacement. would recommend to anyone. Definitely has a retro feel, but with more modern features such as the multi alarm, and countdown timer. The solar charged quickly but I got this during the spring so cant comment on how well it does in the winter. Although its a gshock its not overly bulky like others in the current range. The radio controlled time is a little confusing to setup, but once sorted makes sure its as accurate as possible. This has all the good solid G-Shock construction I wanted, and a flexible but tough strap. Watch was a little smaller and thinner than my previous G-Shock from 6 years back. I think it fits better because of the smaller size and weight. Display is very clear and all functions seem easy to set as the step through program mode is similar to my previous watch. This is a good, understated and reliable watch. It is built in the style of the original G-Shock watches of the early 1980s. In plain language that means it is simple, comfortable and fits easily without any sharp corners digging into your wrist. Fitting wise the only slight problem is that the strap is not the longest. While this means it probably wouldnt fit the largest of wrists then it is perfectly adequate for most guys Im 61 and 15 stone and it fits me just fine. Features wise it is bang up to date - waveceptor timekeeping - solar power - fluorescent back lighting - world time - stopwatch - timer alarm - daily alarms and hourly signal. Everything you could need from a modern digital watch. This is my second purchase of this model, the first was 6 years ago and it is still going strong. Try it, for this price with these features it really is great value. Casio radio-controlled digital wrist watch, black plastic case and strap they call it resin. I already have a similar Casio watch, with a battery and not radio controlled, and am very pleased with it. Radio-controlled was what I was looking for, and the fact that your picture looked so much like the one I already had. I was somewhat shocked to receive the real thing - much bigger, clumsier and bulkier, lots of extra plastic shockproofing buffers, waterproof into the bargain, and does so much else I do not need. Being solar, it needs such a lot of exposure to sunlight and placing in the right postion for receiving the radio signals Im almost afraid to wear it all day. I seem now to use it for best rather than for everyday wear. Bought as a gift so not used but the watch is lovely looking. It is very lightweight and very practical. An excellent watch, and very good price..el very efficient delivery service .. 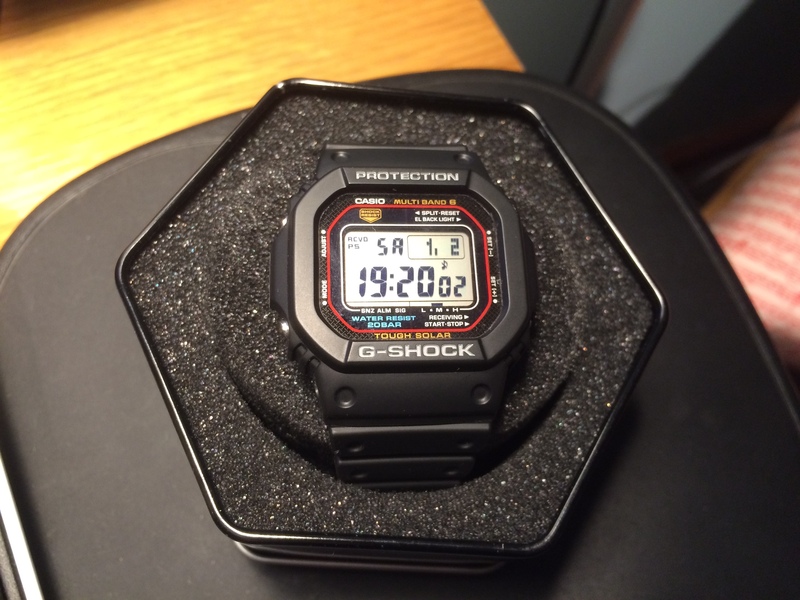 I wanted this watch for me as it is for everyday use, and Fantastic value Casio G-Shock, the iconic case design. The watch is chunky, but less so than many similar models. The band is comfortable though a little sweaty. Functionally the watch is everything youd expect. The time display is clear and uncluttered and Ive no complaints about the functions I used the most - World Time and the Timer. Easy to clean with soap and water when it got drenched in hydraulic oil! This watch is great, it does exactly what I need it to. I have a very strict schedule so the hourly beep beep keeps me on track. The countdown timers and multiple alarms are also a great help. It took a while to sit down and learn how to use all its functions, but thats the same with any piece of technology. Very impressed that the time is set automatically everyday via satellite signal. The time is exactly right, whichever country Im in. Excellent. And I love the design. Its not as prestigious as some watches, and does costs a fraction of what they cost, but it does the job better than any of them. Its a nice modern, muscular take on the timeless, classic CASIO. It stands up to all the abuse my toddler gives it, which is more than I can say for a lot of other kit. The watch is very well designed, and worked immediately. All its functions are well-conceived, and do exactly what it says on the box, except for one flaw: the alarm and hour signal are both high-pitched and very quiet. Because of these features I cannot hear either of them unless the watch is pressed against my ear. This rather defeats the point of these features, and reduces the value of the watch considerably. Good product, functionally rich, keeps accurate and easy enough to read for my aging eyesight. I still have the original version of this watch and simply love the updated features of the new version. The solar powered and radio controlled time just improve the original to a perfect package! This is a great watch, been looking to buy one for a little while now but thought the prices were a little too high for my liking and I noticed this watch was on sale here so since I have used this store before I bought it, and at a great price. The watch itself looks small in photos but it is perfectly sized as far as Im concerned, it feels light weight wise compared to other G-Shock watches but it is so comfortable on the wrist that I have already almost forgotten that I have actually been wearing a watch a couple of times so far. I really like the fact that this watch is solar charged/powered and has world time depending on your location in the world so once that is set your watch should keep time perfectly to within a second or two permanently. The back light is perfect and not overpowering making it difficult to read it is a kind of pale green coloured back light. The watch has an excellent display screen and is one of the best I have seen so far and is by far the clearest display out of all my watches. This watch will remain with me for the rest of my life, I am so glad to finally have this watch. Highly recommended watch so if anyone has any doubts, then stop worrying and just buy it as you wont regret it. Excellent watch, very simple to set up and use and the service and delivery was absolutely first class. Excellent watch, fits perfectly on the wrist. Everyday wear trendy watch. Can carry it off on any sort of style. Excellent Classic Casio Watch with all the modern technology of radio controlled accuracy. Good for everyday use whether in the office or in the garden. Comfortable and bomb proof, tremendous value for money and a worthwhile investment. Great product, easy to set up, not too bulky on the wrist only have small wrists!. Doesnt have a ton of flash features but thats fine for me - doesnt have barometer, altimeter etc and I dont miss them! Radio sync works well, solar is brilliant and you dont have to worry about rolling up sleeve and stuff like that! The feature to have light automatically come on is mildly useless. Durable yet relatively inexpensive in as much as it is not a world shattering event if lost or stolen. Accurate time keeper with a much valued feature of world time - enabling one to reset to a local time with just a couple of clicks. Stop watch feature again very useful as a photographer for long exposures with clear well defined countdown. Casio classic G-Shock watch, with up to date technology, very bright display and back light display, world time stop watch timer, and the best of all, its remote controlled time will always be correct, watch will probably last for over 30 years, also once the solar panel has charged the re- chargeable battery, it will last appox ten months in the dark. some watch for the price. Excellent, lightweight. Looks great on my arm. Just the right size. Unobtrusive at work or when Im in the gym. Always wanted a G Shock, always put it off. Until now, and wow what a watch. Solar power and atomic makes this very convenient and the rugged but square retro look ensures longevity. I own many nice pieces but this 5610 is getting a lot of wrist time. It does not wear big and looks great at work and play. Very Clear Display, Despite the lack of Sun its still showing as fully charged. Like the automatic back light option, very good in the dark. At the moment I have no dislikes. brilliant watch. radio controlled so all I had to do is take it out of the box and strap it to my wrist. no messing about setting the time, it was already set. For those of you just skimming the reviews - in summary I love this watch! And for those of you wanting a little more explanation - the quality of the watch is what impressed me as soon as I tried it on. Having had a few digital timepieces over the last few years, including other Casio and Garmin products this watch just feels that little bit more special and well built, especially with regards to the material of the strap. The face has a black outer section with a red line running around a few mm from the inside of the perimeter with blue, gold and white font. I very much like the styling and it has received a few welcomed comments from others also. Its also a great size - clear enough to display data, but not so big to no longer remain discreet. As you will read, this watch has a vast array of functionality my favourite being the automated display light when you tilt the watch towards you, and the multi band time function I travel to Europe often on work. Another useful trick Casio built in is a power saver mode which powers down the display functions still run in background during prolonged periods of non use i.e. sleep etc. Being a solar powered watch and living in the UK during the winter who knows when Ill next get more sun to charge the watch up, so Im grateful of this feature! The downsides - the only 2 things I could be picky about are 1. The display light can sometimes be too short, and there is no option to hold the button down for a continued light. 2. The date display is in the American format i.e. 11.29 November 29 as opposed to what us Brits would correctly write as 29.11. Would have been nice of Casio to allow us to change that to avoid any confusion! All in all, buy this watch if you want a stylish, rugged, functional and comfortable timepiece! I purposely bought this at first for a travel/sports watch, but its slowly creeping in to be my preferred watch for any event! This watch is fantastic. It is designed to look like a simple Casio watch but is anything but. It has all the toughness and features that youd expect of a Casio, plus the solar power and the radio controlled updates. Its not too big and is comfy to wear. Id recommend it to anyone - very pleased with this purchase. Brilliant watch,light and not too bulky.Being G-SHOCK,very rugged. Bought one for son a few years ago,so when I needed a new one I didnt hesitate. This product has been fantastic since it arrived 10 days ago. It does everything that was on the tin! It is a relatively basic in complexity and I love the simple no frills design. I conducted extensive reviews on the watch and I have found that the radio controlled updates happen without any problems, despite me not leaving the watch next to a window. The display is easy to read, and I have enjoyed the automatic sensor for the back light and find that it is not too sensitive. I am waiting to see if the strap can withstand the test of time and not crack which has been a problem for me in the past. No negatives yet, even the American date format has not been bothering me. Lovely watch just as shown on website. Packaging and delivery great and fast. Excellent service. 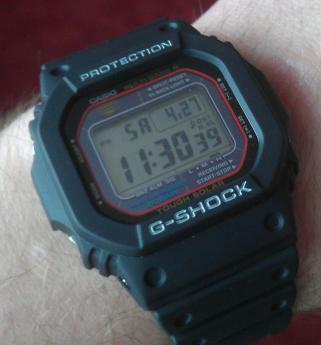 Bought this type of G shock watch after much searching and was very pleased with its size and fit on my wrist. This watch seemed a little bit smaller than a lot of other G shock watches out there and as i have a more slight wrist this was ideal. Very light weight and packed with very handy features, Hopefully no need to change batteries due to TOUGH SOLAR. No need to set watch due to RADIO CONTROLLED ATOMIC TIMEKEEPING. Watch includes all the standard stuff Alarm, Stopwatch and Countdown timer. Great value for money all-round.Also as an aside i could not believe how quickly it arrived. I ordered it one late afternoon and it arrived the next day. Thanks Casio G Shock and Watch Shop for a great product and service. Lovely watch, looks good, great functions. It is a christmas present so hasnt been worn yet but it has been asked for specifically. Love the watch. Very comfortable on the wrist and has all the bits that I need. Would recommend to anyone as I love the simple design. I WANTED A WATCH THAT WAS SUPER ACCURATE,COMFORTABLE & FUSS FREE , THIS WATCH HAS IT ALL. IT SETS THE TIME VIA RADIO WAVES EVERY NIGHT WITHOUT FAIL.IT HAS AN AMAZING FIVE DAILY ALARMS , STOPWATCH & COUNTDOWN TIMER WITH ALARM.IT ALSO HAS A POWER SAVING MODE AT NIGHT WHICH SAVES ON BATTERY POWER , IN THE MORNING THE SCREEN IS BLANK , JUST PICK UP THE WATCH & THE SCREEN COMES ON. THE BEST THING OF ALL IS THE BRILLIANT AUTOMATIC LIGHT WHEN IT IS DARK.FROM HORIZONTAL JUST TILT YOUR ARM TO LOOK AT THE FACE OF THE WATCH & IT COMES ON LIKE MAGIC . THIS IS A WELL MADE WATCH BY CASIO USING SUPERIOR MATERIALS - NOT CHEAPLY MADE AT ALL . THE WATCH IS EASY TO SET UP & ON YOU TUBE THEIR ARE TWO BRILLIANT TUTORIALS ON HOW TO DO THIS. I HAVE HAD A LOT OF WATCHES , SOME WORTH LOTS MORE MONEY , BUT THIS STANDS UP WITH THE BEST OF THEM - AWSOME WATCH. Having done a thorough review of what out there on the marked and consulted a friend of mine who owns a g-shock, Ive gone for this watch and I must say Im very pleased with my purchase - it exceeded my expectations see why at the very bottom of this review. If you are interested in detailed features and operation of this watch I strongly recommend looking through its manual link below - I have done so myself and that confirmed this is the right watch for me. If you google GW-M5610-1ER manual youll find it easily on casios official website. - packed with features: radio controlled time synchronisation, solar power, stopwatch, count-down timer etc.etc. - geeky put it against cons if you prefer! - - the manual is easy to use and it doesnt only explain how to use the watch but also goes into how the watch internals work e.g. how radio-controlled time synchronisation work, how the power saving feature works etc. - count-down timers resoultion is 1 minute e.g. you can only set it say to 4 or 5 mins but it wont do 4 mins and 35 secs. The reason this watch exceeded my expectations is its looks - when I was buying it Ive made a conscious decision that I bought it for its features and I fully accepted the fact that the watch will probably look cheap but when I got it out of the box I was surprised how well it looked my wife included, if you dont believe a males taste. It is a great watch, radio controlled so you never have to worry about setting or adjusting the time. Solar powered so you never have to worry about changing batteries, light recharges the internal battery. Its water proof, robust, What more do you want? Its nice and slim unlike the rest of the g-shock collection which is quite big and chunky. If you want a reliable digital watch, you can not go wrong with this one. Its a great watch. Very practical and comfortable. Its a nice size too as its not too big. Its a sporty yet fashionable number in my opinion. Great watch. Only worn it for a couple of weeks including 1 of travel but Im very happy with it so far. Great functionality from what you usually get from a G-Shock. The watch itself is also light and very comfortable to wear. When I received it, the battery had medium charge but after a week of wearing it during cloudy weathers indoors + 1 very sunny day, it maintained a high charge. The radio control function works ok if I put the watch by the window built up area in London. This watch is a subtle understated looking G-Shock but in my opinion the best looking. The quality of this watch exceeds any watch I have ever had on my wrist and is very comfortable to use as a daily time piece. Where as other watches I have bought are only suitable for weekend/evening use this one is on me 24/7 without it getting in the way. Has every basic function that I need and hopefully will stand the test of time when it finally gets used how I intended - as a military watch. First couple of weeks with this watch has been everything I expected, its light, great understated looks, very functional with easy to use features and comes in a great lookin tin. I am confident that its ruggedness will serve me well in the years ahead!! I bought this to replace an unsatisfactory Citizen analog watch. The strong points are that it is digital, solar powered and radio controlled. A very minor quibble is that the date shows as day-month-date instead of the more usual day-date-month. The buttons are recessed too far to be easy to use and the combinations of button presses are a bit confusing. Having said all that, for day to day use it is easy to read and stays well charged. This watch looks good and is relatively light and not as chunky as a lot of G-Shocks, so good for sports such as running and cycling. It does not look too big on the wrist for everyday use. I like the automatic radio-controlled time-keeping and the solar power, although Ill have to wait and see how it holds up through a British winter. One minor issue is that the alarm is quiet and only goes on for 10 seconds so dont expect it to wake you if you are a heavy sleeper unless it is right beside your ear. Very pleased with this watch. 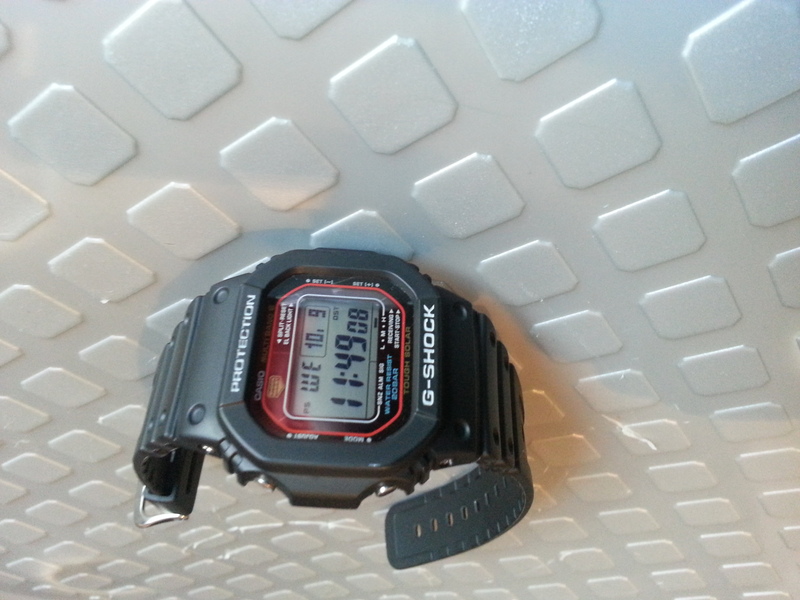 Its a good size - not as bulky as the majority of G Shock watches but still bigger than a standard digital watch. Loads of good features and a nice little retro design. Excellent watch. Its the BEST RADIO CONTROLLED watch for the price. The radio controlled watches below the price of this one are no way as good. The radio controlled devices with a higher price are not worth it, unless your going to pay a lot more. Its a classic Casio Digital Watch, its not very bling but its smart and obviously functional. Display gives you what you need, Day in letters, Date with month and day and obviously displays the time, all clearly. The main feature of course is the Radio Controlled Time. Its works perfectly. It synchronises time at 1am every day. I dont always take the watch off at night but even with my hand under the pillow it syncs the time! I had no digital watch in my collection, and really wanted one which could take some rough treatment for exercising and DIY etc. 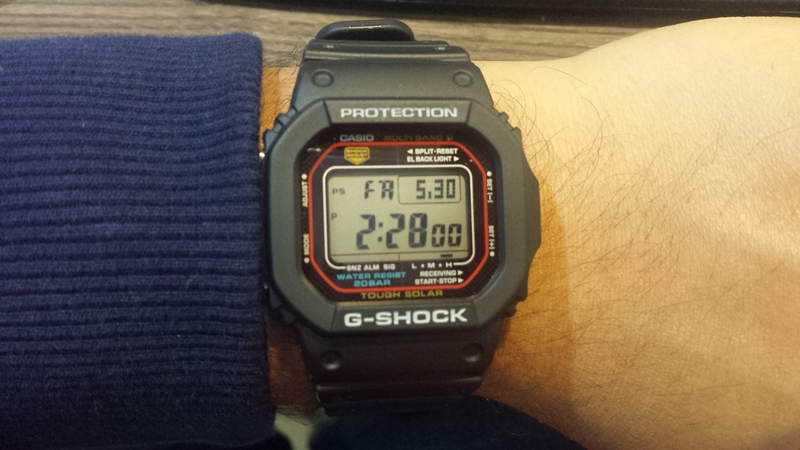 I chose the GW-M5610-1ER because of its blend of retro Casio style taking me back to my first watches and very modern features. The watch has all the usual features you would expect stop watch, alarm, day, date etc as well as some really good stuff too. Its water resistant to 200m plenty enough for me and has the Tough Solar movement. This means that it charges up from normal light, and has a power save mode for night time. Speaking of night time, my favorite feature is the tilt to illuminate function in poor light. If the light is low, and you tilt the watch to look at it, it lights up! Simple but excellent. It also picks up the atomic time, so its always spot on. The world time, controlled by selecting the city you want, is very useful too. This watch wears quite small for a G-Shock, and I would perhaps prefer it to be a little larger. Obviously a digital watch will never be right with a suit or a dinner jacket, but this does have a certain retro appeal. Loads of features, but simple to use. I was searching for a G-Shock that wasnt quite as chunky as the other ones. Dont get me wrong its still a large watch but not as massive as most of the others. Great watch and a fast delivery from watch shop. Highly recommend! Excellent watch. One really couldnt ask for more. Perfectly accurate, never needs s battery, tough and waterproof, and with the world time function, perfect for travelling. Initially when I bought this watch I was a bit sceptical about its feature-to-price-tag ratio - if you follow my logic. But after using it for a bit more than a couple of weeks now I have to say I am pleasantly surprised at what it does, can do and just how easy it is to do it. The solar charging initially had me sceptical as I figured Id have to leave it in the sun every other day, but that hasnt been the case as one good morning session on the window sill has lasted well over two weeks now with no indication of a decrease in charge. We communicate with relatives in other time zones quite frequently and being able to quickly see what time it is over there has helped us avoid some tricky situations Hello! I havent woken you up have I? Oh, Im so sorry!. The other thing I like about it is that even though its feature-rich, its not a flash watch yet it still manages to look the part - I would happily wear it in all circumstances. If I can fault it at all, it would be that the backlight timeout is too short 1.5 seconds however, as its solar powered there is a measure of common sense in having it that short. My only other niggle is that its a bit chunky - but then I have small-ish wrists so its more noticeable to someone like me. All in all, I would say it was a good buy and I would count my money as being well-spent. Thanks Watch Shop for excellent service and delivery! Great watch, slimmer than most G shocks -bought for trailathlons and was tired of some 100m waterproof watches getting spoiled by water intake so hoping this does the trick - so good so far. Easy to read. Easy to use. Could be a liitle more stylish ie loose the red rim, Have a black buckle rather that chrome. Overall very happy. The perfect everyday watch at an exceptional price. Guaranteed accuracy,rugged case, easy to read dial, clear instructions and I particularly like the auto backlight feature. What can I say, this watch is the d classic of the original G-Shock. Its still as stylish as it was when the design first came out nearly 30 years ago! I have this watch as an everyday piece for work and cannot fault it. Its simple but perfect in every way. Atomic and solar powered, what more can you ask for. Wears very nicely, and is very light. I think it is one of the smallest g-shocks on the market, but could be mistaken, even so it wears so well. 24 hour stopwatch, 24 timer, world time, atomic accuracy absolutely brilliant. Upgraded classic of G-Shock. This model is a must have for any fan of the brand Casio. The perfect balance of functionality. Light, comfortable, practical, tough solar, shock resist - this is the perfect set for the ideal of watch. I recommend it to everyone. d classic of G-Shock. This model is a must have for any fan of the brand Casio. The perfect balance of functionality. Light, comfortable, practical, tough solar, shock resist - this is the perfect set for the ideal of watch. I recommend it to everyone. d classic of G-Shock. This model is a must have for any fan of the brand Casio. The perfect balance of functionality.